Take in the views from a garden and make use of amenities such as complimentary wireless Internet access and concierge services. Additional features at this Victorian hotel include babysitting/childcare (surcharge), wedding services, and a fireplace in the lobby. 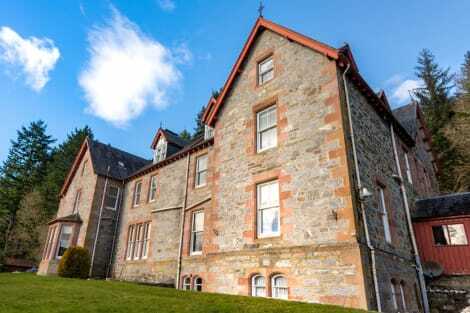 With a stay at The Inch Hotel in Fort Augustus, you'll be in the historical district, within a 15-minute drive of Lochaber Geopark and Clansman Centre. This hotel is 16.1 mi (26 km) from Urquhart Castle and 31.6 mi (50.9 km) from Loch Linnhe. Found just south of Loch Ness, Fort Augustus is a lovely town and a thriving tourist spot, making it the perfect place for a memorable Scottish break. The top hotspot for anyone visiting Fort Augustus is Loch Ness. This huge expanse of water is best explored on a day cruise, and tourists flock from around the globe to spot the fabled Nessie and enjoy the stunning surroundings. There's plenty more to do and see in the town apart from the loch. The Highlands are perfect for hiking, and the Caledonian Canal is a charming historic stretch of water complete with traditional locks. If you'd like to have a really fun day out and immerse yourself in a bit of local history, you should definitely visit The Clansman Centre. Inside you'll find out all about the clansmen in a reconstruction of a traditional 17th-century Highlander's house, making it a really atmospheric experience. For something a little different, why not take advantage of the beautiful scenery over a round of golf. There are plenty of courses to choose from nearby. To get the most from your trip make sure to stay close to town if you can. Fort Augustus hotels are generally traditional and cosy, so you'll feel right at home straight away. Favourites include The Lovat by Loch Ness, the Inch Hotel and B&B's like The Holt and Kettle House. Eating out in Fort Augustus is a fun experience too. There are loads of authentically Scottish restaurants like The Lovat Brasserie and Station Road Restaurant so you can sample some traditional cuisine. Or, for something a little different, try Macveans Ristorante Italiano or the Canal Side Chip Shop. So for a fun trip to remember, make sure to check out the gorgeous Fort Augustus.